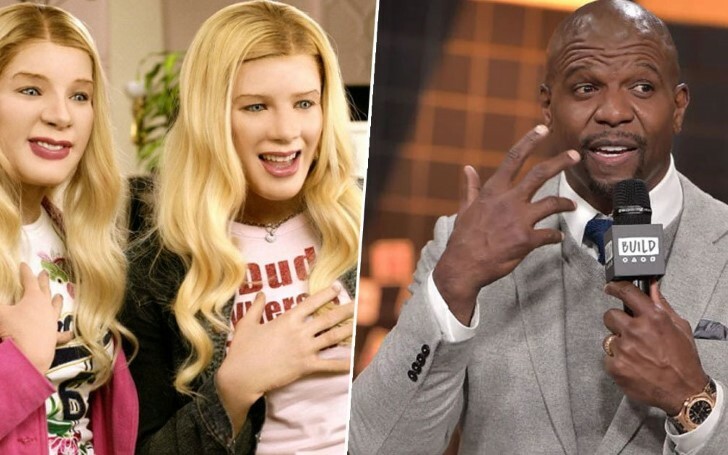 A cult hit comedy, White Chicks is going to get a sequel; or at least the film's former cast, Terry Crews thinks so. In an interview with US Weekly, the soon going to be America’s Got Talent host, Terry Crews said he’s hanging on his existing shape just in the case, his 2004 hit comedy White Chicks’ sequel happens. The first movie follows the story of two reckless cops, Kevin (Shawn Wayans) and Marcus Anthony Copeland II (Marlon Wayans)—who gets recruited in an undercover assignment and involves each of them donning identical whiteface to solve a pair of kidnappings. Subsequently, the duo is then disguised as Brittany and Tiffany who on the way bond themselves with three girls simultaneously feuding with the group of other chicks. Meanwhile, Crews is seen portraying a beefy basketball star Latrell Spencer, who falls deeply in love with Marlon’s alter-ego, Tiffany. Although nothing has been said or confirmed by the studio or any of the production members, Crews says he is remaining optimistic for the project. Crews is not the only member who is pumped out for the sequel. In fact, a month ago, Marlon Wayans had also teased the possibility of White Chicks 2 happening in the near future. Back in 2015, Marlon alongside his brother, Shawn even went on to Instagram to mock up the similar matter where they momentarily joked if their post gets 300,000 Likes, they would definitely do another. The post, in turn, got 480,000 favors yet, the actors have since remained quite silent on the particular issue. Distributed jointly by Revolution Studios and Columbia Pictures, White Chicks was a commercial success which was especially more adored by the viewers. The film grossed over $113 million at the global box-office. On the irony, the movie was also nominated for five Razzies, including Worst Picture, Worst Actress for the Wayans brothers, Worst Director, Screenplay and Screen Couple, yet still failed to any of the accolades.